Samrat Upadhyay’s newest story collection offers political engagement shot through with humanism and hints of spirituality. Political unrest looms as large in Samrat Upadhyay’s newest collection of stories as it does in our current headlines, social media feeds, and day-to-day conversations—if we’re still having those. 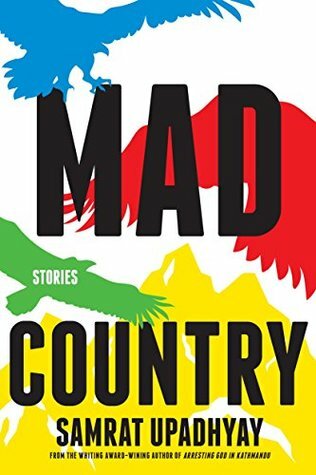 Mad Country, just released by Soho Press, tackles government suppression of the free press and other tyrannical abuses of power, financial inequality and class divisions, immigration and xenophobia, gender prejudice and wrongful imprisonment, as well as police brutality and political assassinations, to pin labels to many of the thorny undercurrents at play in these stories. Some of us Americans—long given to claiming others into our fold and unfamiliar with Upadhyay’s body of work—might assume that stories addressing topics such as these need to be set in the United States, especially when considering the turbulent political climate battering our nation since (and before) Donald Trump’s inauguration. 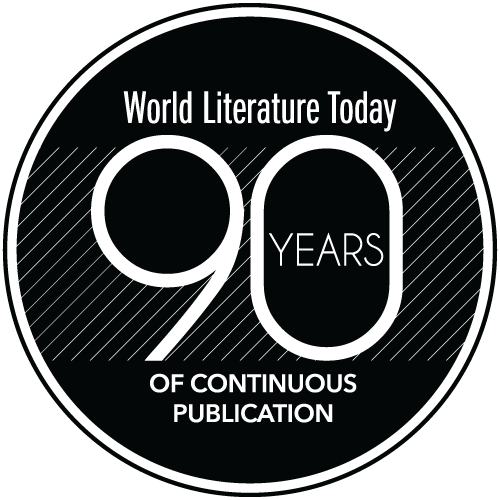 But Upadhyay, an American citizen who writes in English, is a Nepali-born writer who sets most of his work in and around his birthplace of Kathmandu. His stories require no translation, and they will no doubt strike a chord for many American readers regardless, or perhaps because, of the distant settings. The problem for an engagé writer, as they call them now, is to continue being a writer. If what he writes becomes simply literature with a political content, it can be very mediocre. That’s what has happened to a number of writers. So, the problem is one of balance. Balance is attained through Upadhyay’s delight for both the quotidian and cataclysmic travails of human existence, producing political engagement shot through with humanism and hints of spirituality. In fact, what matters most in each of these stories are the characters’ lives and the freedom each receives despite, or in response to, state-fueled and/or workaday oppression that might otherwise restrict them. Upadhyay is an expansive writer, novelistic even in the briefest of stories. He lingers in small moments, employing a desultory style that campaigns against neatly plotted narratives—rather than confining the denizens of his fictional world into predictable structures or timelines, he gives his characters free rein, animating them with such vim and vigor and vinegar as to make all his creations palpable on the page, and all the more real. “Fast Forward,” the book’s opening story, recounts an editor’s ordeal juggling a difficult friendship while staff at her investigative journal are assailed by government agents willing to use coercion and abduction to force retraction of a story implicating the minister of information and communications in a summary execution. “Beggar Boy” describes an affluent adolescent’s peculiarities following his parents’ divorce—spurning his father’s wealth and struggling to cope with his mother’s abandonment, he begins to dress as a beggar and goes out into the streets to practice being poor, seeking alms until he conceives of a new plan to repossess his mother’s attention. “Freak Street,” set in the late 1970s, depicts the experiences of a young American woman who attempts to renounce drug usage and embrace Nepali culture following a dubious sexual encounter with another expat. She is seen as a kuiriney (a foreigner, outsider, or white girl) by many Nepalis but is embraced as an adopted daughter by the local family she rooms with; she takes on a new language, a new way of life, even a new name to escape the trappings previously defining her existence. In the title story, a successful Nepali businesswoman narrates her experience enduring police misconduct when investigating her teenage son’s undeserved arrest. She is also taken into custody, wrongfully imprisoned for political dissension, and locked up with other women detained in similar, questionable ways. As months pass this mother and doting wife cements a strong bond with her cellmate, and she clings to that relationship to be able to cope with the loss of her family, her authority, and her voice. Even though political upheaval is an ever-present backdrop for these stories, the book centers on the relationship between reality and dreams. Upadhyay, taking a broad look at what is meant by the oneiric, harnesses the relationship of dreams had in Morpheus’s arms to waking reverie, memory, and hopes for the future—including aspirations for one’s life, for improving societal woes, and for what comes in the afterlife with spiritual advancement. This overarching trope is most apparent in “Dreaming of Ghana,” the collection’s centrally placed novella, which tells the tale of a young man whose dreams start to take shape in reality when—after dreaming of a Ghanaian family struggling to find a missing daughter—he rescues a dark-skinned foreigner from a threatening mob in Kathmandu. Though captivated by the dream-conjured interloper, he is obliged to visit an ailing grandmother with his parents, and he leaves his unexpected guest in the care of an assertive friend, only to suffer the consequences of a romance that develops during his absence. “What Will Happen to the Sharma Family” briefly follows the pitfalls endured by the Sharmas on a failed visit to Bombay, upon their return home to Kathmandu and in the years that follow, the telling of which is provoked by dissimilar expectations for the future dreamt up by each of the four family members. “An Affair Before the Earthquake” paints the portrait of a failed relationship prior to the 2015 earthquake that ravaged Nepal; the failure hinges on one partner’s departure for graduate studies in the United States and a lack of communication that follows in the wake of such distance. In this story, as with the novella, hopes, dreams, and reality intertwine before the arrival of the earth-shattering nightmare Nepalis have since worked to rebuild from in the last few years. In his fifties, Samrat Upadhyay has now lived more than half his life in the United States; he is unquestionably an immigrant who has benefited from and excelled in our nation’s academic system—he completed his undergraduate studies here (College of Wooster, Ohio), went on to attain master’s and a PhD in the States, and has since taught creative writing in two of our nation’s institutions, most recently at Indiana University, where he has been an endowed professor since 2014. He considers himself primarily a Nepali, but he recognizes that his intellectual maturation occurred in the United States and concedes that he may now also be labeled a Nepali-American (he attained US citizenship in 2010). He does not consider himself a “political writer” but instead speaks of the way in which politics “seeps” into the lives of his Nepali characters, given Nepal’s tumultuous political history. Tumultuous may be an understatement to many considering a brief summation of the last sixty or so years of Nepali history: in the 1950s, a democratic movement attempted to free the nation from centuries of monarchic rule; followed by a 1960 coup to stabilize the monarchy under the auspices of a partyless system of councils deemed “democratic” by then-king Mahendra; then came civil unrest in the early 1990s and a Maoist-led civil war later the same decade; this was shadowed by the crimes of a king-slaying prince who assassinated nine members of the royal family before committing suicide in 2001; bloodied shoes that were filled by a new king, brother to the king-slayer, who failed to consolidate his own power as parliamentary rule was reestablished; this eventually led to the long-sought abolishment of the monarchy and creation of Nepal’s Federal Republic government in the mid- to late 2000s. It seems quite natural—perhaps even necessary—for the personal lives of Upadhyay’s characters to be “shaped and changed by politics” when you consider the political upheaval Nepalis have endured. Regardless of the myriad ways in which political issues evidently seep into his work, Upadhyay is a writer most interested in the dynamics between family relationships and personal desire. Of his books, Upadhyay’s first collection is perhaps the least political, a look at modernization’s effects on a nation of people steeped in traditional, and somewhat conservative, values. His first novel, The Guru of Love, tells the story of a beleaguered math teacher during the pro-democratic movement of the early 1990s. Political issues clearly seep into this work as Nepalis strive to cast off monarchy’s hold by transitioning to a multiparty parliamentary system prior to the Maoist revolution. The Royal Ghosts, a second short-story collection, is an attempt to understand the then-recent civil war in relation to the continued modernization of Nepal, and so expands on the sweep of stories in Arresting God as the Maoist insurgency takes center stage. Yet again, the seeping in of politics continues as links between personal lives and political events become more acute. Buddha’s Orphans, an ambitious 2010 novel that uses multiple perspectives, spans five decades of Nepali politics and history as experienced by two orphans who become lovers, marry, and later work to save their marriage while events from the past hinder their efforts. Here too there is more of the political, more of the seepage. The City Son (2014), a smaller novel in scope and size, focuses on an abusive and sexually transgressive relationship between a young man and his stepmother—political issues recede into the background, and yet the work examines caste and class divides between urban and rural communities in modern-day Nepal. Regardless of the myriad ways in which political issues evidently seep into his work, Upadhyay is a writer most interested in the dynamics between family relationships and personal desire—skillfully weaving such interests with political and historical elements brings about the balance Cortázar calls for of writers who would venture into such political arenas. Fast-forward to our eroding way of life in the shadow of Trump’s America and—with mounting criticism for the president’s many apparent conflicts of interest; alleged staff ties to the Russian government following the intelligence community’s disclosures on the election hacking scandal; rushed and bungled executive orders overstepping presidential bounds; evident attacks on the judicial branch and our free press; a brazen willingness by POTUS and staffers alike to peddle alternative facts and outright lies; and a global resurgence of far-right movements fueled by xenophobia reminiscent of the fascism Orwell faced—it becomes startlingly clear that we face similar straits. All Americans, regardless of political affiliation, income bracket, or ethnic background, have been thrust into a continued and prolonged period of political upheaval and civic unrest—we are all incontrovertibly shaped and challenged and changed by the politics of our times. We the people who make up the United States of America must all remain vigilant and well informed and well read if we are to weed through the alternative narratives and fake news stories and poor policies being peddled into our homes by misinformed neighbors, biased media outlets, and questionable politicians. Some American readers are returning to older dystopian novels for insight into mounting transgressions carried out by Trump’s administration, as witnessed in a much-discussed uptick in sales of Orwell’s Nineteen Eighty-Four, Margaret Atwood’s The Handmaid’s Tale, and other classics of the genre. Novels that explore nightmarish possibilities for the future can certainly serve as lenses with which to understand the nightmares taking shape in our own country at this juncture in history, especially if the Orwellian parallels are as frighteningly similar as they appear to be. But dystopian lenses should not be the only lenses we now turn to—we should be reading, supporting, and defending respected news sources (such as the New York Times and the Washington Post); we should be revisiting the words of our most cherished historical figures (Abraham Lincoln’s Second Inaugural Address comes to mind, as does anything gifted to us by Martin Luther King Jr.); we should always be reading more poetry (Robert Hass’s Praise and Ross Gay’s Catalog of Unabashed Gratitude are two collections I return to often for solace); and we should also look to work written by writers such as Samrat Upadhyay. In distances such as these there is closeness, in differences there is always similarity, in moving across borders there is much to be shared and cherished. Whether classified as exile literature, immigrant literature, transnational literature, political literature, or whatever else, in stories such as the ones found in Mad Country, American readers can uncover a wealth of knowledge and experience, encountering glimpses into lives not unlike our own, where individuals struggling through life manage to survive, to overcome, and to occasionally break free of the authoritarian chains of oppression that otherwise would bind them. In distances such as these there is closeness, in differences there is always similarity, in moving across borders there is much to be shared and cherished—rather than expelling our immigrant populations, rather than banning anyone’s rights to travel freely, rather than building walls that divide us, we should turn to literary works that offer pivotal lessons learned elsewhere around the globe; lessons that also serve as a reflection of who we are as Americans: a people proudly diverse and free. John T. Howard holds an MFA in creative writing from Indiana University. Originally from New York, he resides in the Bay Area with his wife, dog, books, and writing projects, which include a novel, a collection of short stories, and a full-length translation.